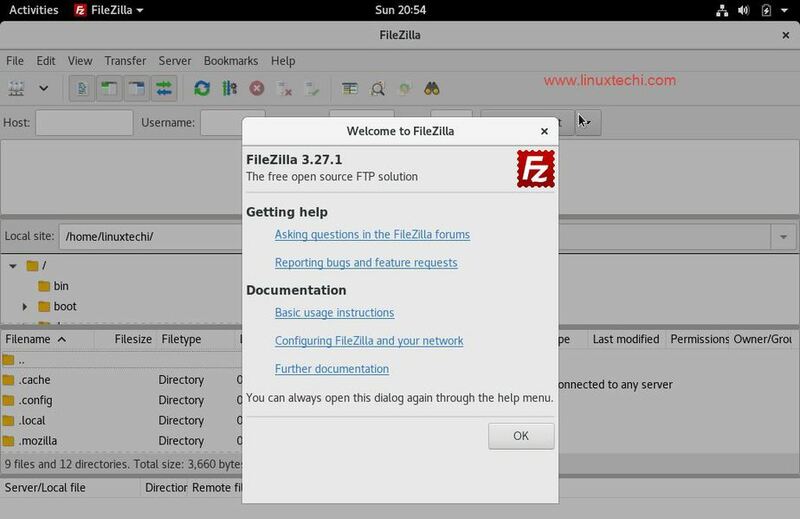 FileZilla is a free and open source fully featured graphical FTP, FTPS and SFTP client. 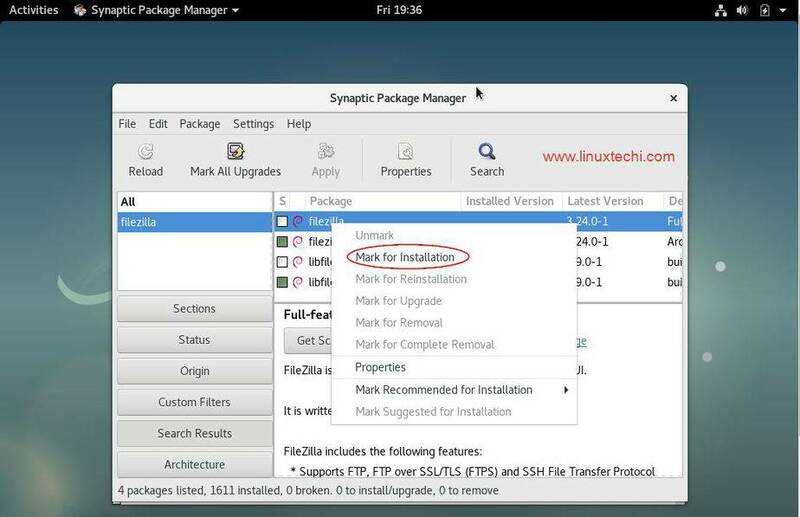 It is cross platform software so it can be installed on both Windows and Linux like operating systems. Filezilla code is written mainly in C++ and Wxwidgets. 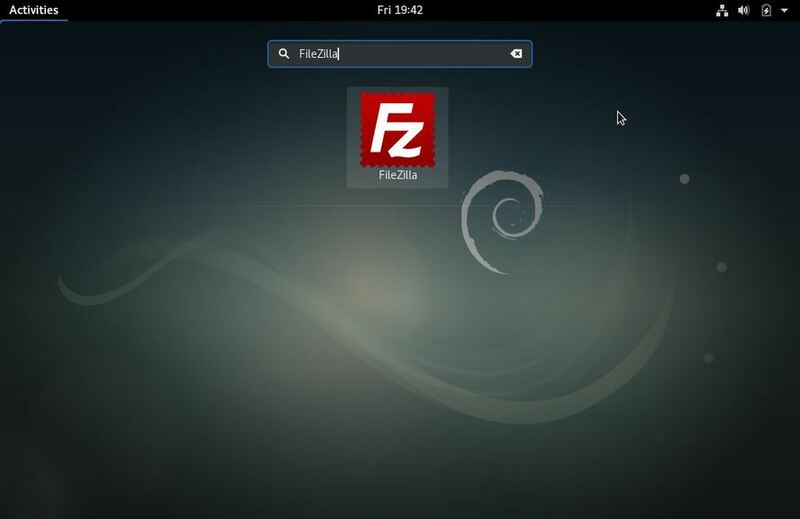 In this article we will discuss how to install latest version of FileZilla on Debian 9(stretch) and Fedora 26. In fresh Debian 9 installation, sudo package is installed by default. So we cannot use sudo command to install packages. In my case I have one local account with name ‘linuxtechi’ and I want to perform the entire administration and installation task with this local account. For this to happen execute following commands from root user. 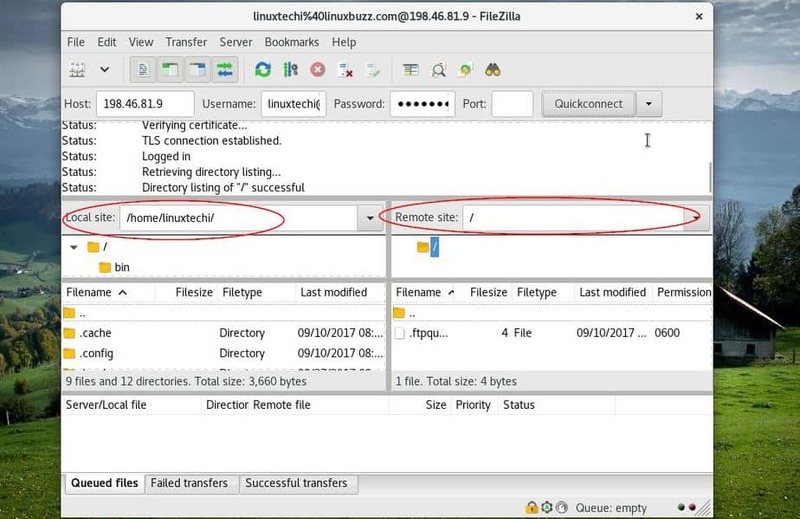 Now exit from the root user and login to your Debian 9 box with your local account and run the beneath commands to install Filezilla. Select FileZilla and Click on “Mark for Installation” and then click on Apply. 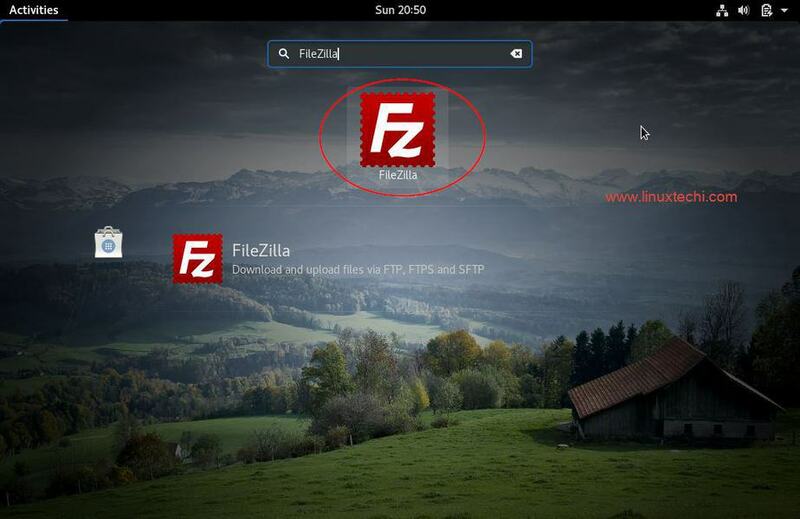 Login to your Fedora 26 box and run the beneath commands from console to install latest version of FileZilla. FileZilla-3.27 is available in the default package repositories. This concludes the installation of FileZilla on Fedora 26 Workstation.